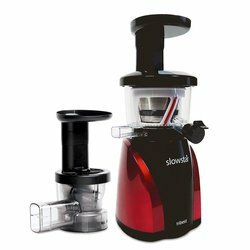 The Z-Star Conversion Kit is the perfect convenient and affordable way to turn your electric Tribest SoloStar, Omega single auger (8000, NC, and CNC series), or Samson GB-9000 series juicer into a manual juicer. Also attaches to the Z-Star Juicer body of course. Now you can free your juice from electrical outlets! The Z-Star Conversion Kit was made so you don't have to give up juicing when traveling, camping, during power outages, or wherever electricity is unavailable. 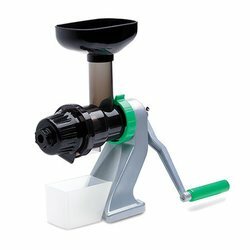 Just take your juicer assembly minus the motor, attach it to the conversion kit and you have a portable manual juicer. 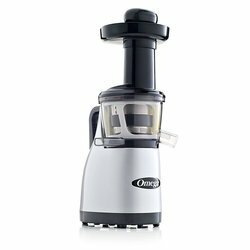 Unlike other hand crank juicers, this one does not rust and is made of rugged die cast metal, no flimsy plastic body, yet at 3.5 pounds it doesn't weigh a ton like solid cast metal juicers. Great for airplane travel. 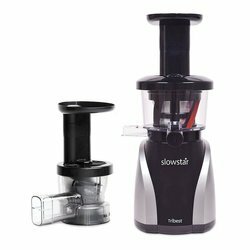 Tribest Z-Star Z-511 Manual Conversion Kit (Hand Crank Only), Free Ground Shipping (Cont. US Only) has been added successfully to your wishlist.